The Pentax K-70 is said to be one of the most feature rich cameras out there. 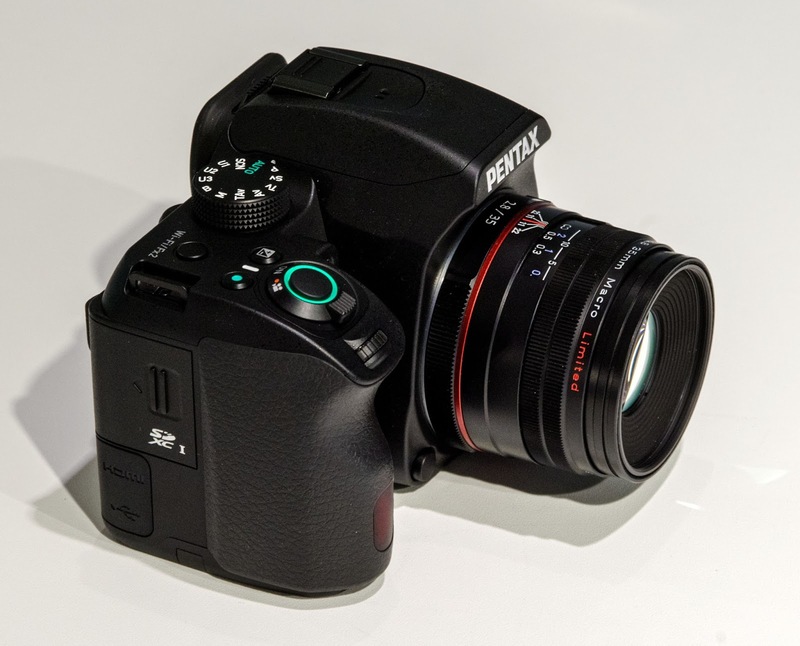 With features rivaling those of a mid-range camera, while still being priced in the upper entry-level segment, this one from Pentax blurs the difference between a mid range and upper-entry level camera and provides excellent value for your money. 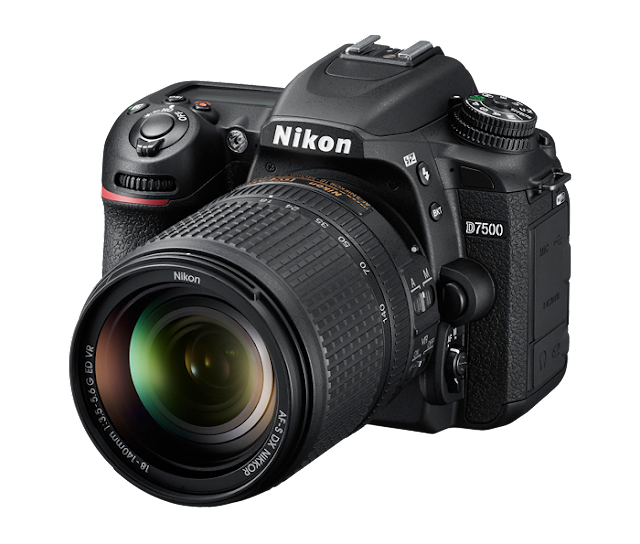 Then there is the Nikon D5500 released in January 2015 which falls in the same price segment of K-70 released in July 2016. The D5500 is the first camera from Nikon to implement a touch interface and which happens to be one of its biggest selling points. This makes both of them natural rivals of each other calling for a comparison. Note: You can also find the comparison between the K-70 and K-3 II and K-70 vs K-S2, published previously. So following is the point by point feature comparison between the Pentax K-70 and Nikon D5500. 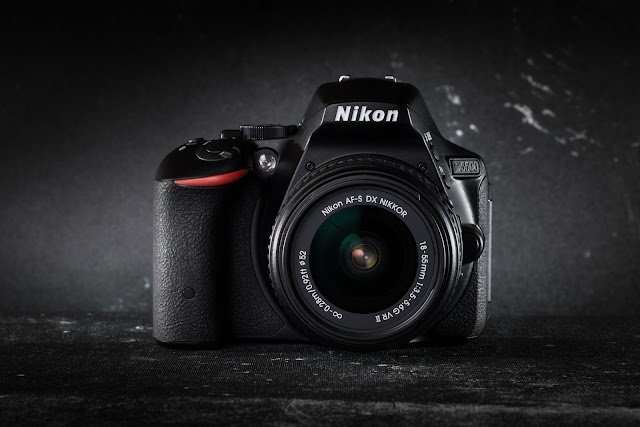 The Nikon D5500 has a single function button. But a range of functions can be assigned to it - Image Quality, ISO, White Balance, Active D-Lighting, HDR, file format, Auto Bracketing, AF-Area mode, viewfinder grid display & Wi-Fi. 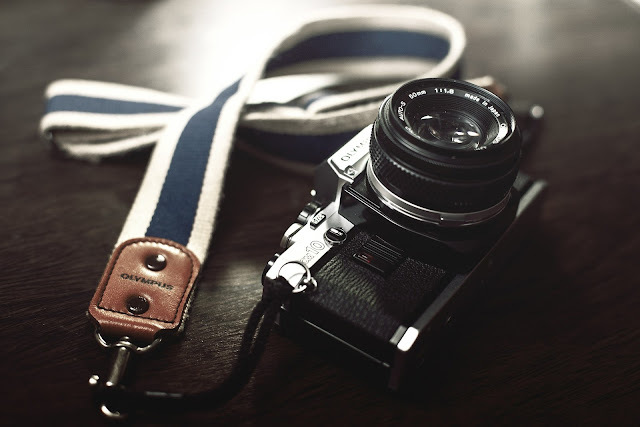 Out of these, some of the frequently used functions are ISO, AF-Area, Bracketing and file format. 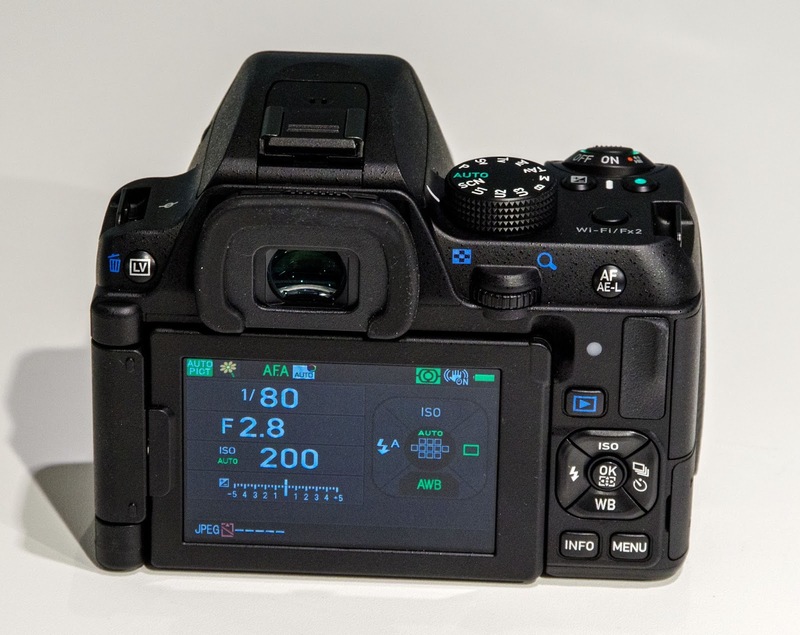 Although the K-70 has little lesser available customization for its Fn buttons (more importantly they don't include ISO & Bracketing), by having two buttons, at a time two of these functions can be used. The K-70 has an improved grip as compared to the K-S2, and is supposed to be more comfortable when handheld. Though the grips from the K-3 & K-1 series remain the best & understandably so. The Pentax K-70 has a polycarbonate body built around a metal chassis, this not common for a camera in its price range. With this the K-70 can boast superior build quality. 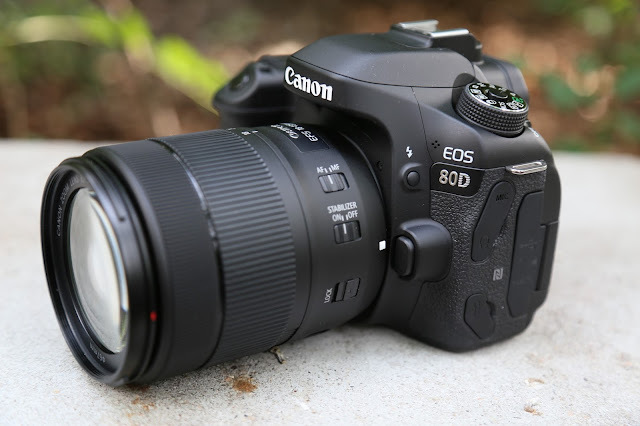 The D5500 has a monocoque structure with carbon-fiber material to reduce body weight. The K-70's SAFOX X AF system will focus up to -3 EV of light, while the D5500's Multi-CAM 4800DX is maxed at -1 EV. This means that Pentax will focus in four times more darker conditions than the minimum brightness required by D5500 to successfully focus. This makes the K-70 really "shine" in low light situations like night photography and dark indoors. To get an idea what -3 EV is, it is the exposure setting to get a correct exposure of a scene only illuminated with dim light. K-70's SAFOX X AF system has a more sensitive, double cross type central focusing point which will focus more accurately with lenses having maximum aperture of f/2.8 or faster. There is no such mention about the Multi-CAM 4800DX AF system found in D5500. Exposure Preview: K-70 is complete, D5500 isn't. In the D5500, when in live view, you don't get exposure preview in manual mode (exposure preview changes the brightness of the image on screen to mimic the final exposure when you change ISO, shutter speed, Aperture), at-least directly. To enable exposure preview in live view you have to enable manual movie settings in the movie settings menu. In manual movie mode you can change the shutter speed and while Aperture change is possible, it can only be done with an 'E' marked Nikon lens with Electronic aperture. To change aperture on all other lenses, you'll need to exit live view change it and then return. This is not the case with the K-70 whose exposure preview is sensitive to all three exposure parameters. 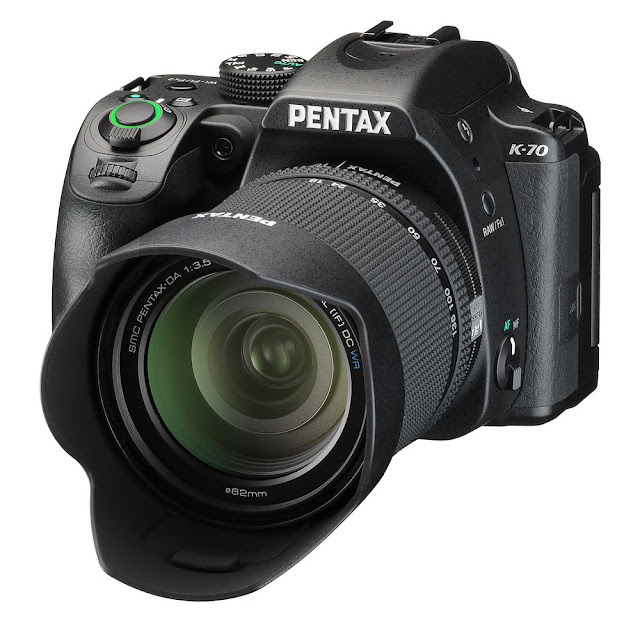 The Pentax K-70 features an air-gapless structure with tempered glass front panel. It promises to improve monitor visibility in broad daylight. It also features Outdoor view settings to facilitate quick brightness adjustment in very bright or dim conditions. Also there is the night vision LCD saves visibility during night time by making the whole display red. The Pentax K-70 in live view. Notice the 2 electronic levels shown in the Live view. Electronic level helps in getting perfectly leveled shots. This is especially helpful in landscapes and group portraits. It's also helps in leveling your scene during night time where it's difficult to get a good level. You can straighten things out in image processing software but at the cost of some loss in image quality. The K-70 has 2 electronic levels, one for horizontal angle & the other for vertical. D5500 doesn't feature any of this functionality. Focus peaking highlights edges of high contrast in your scenes since these happen to be in focus. This tool works as a great aid while focusing manually. In the D5500, you must digitally zoom the live view image to nail focusing which can be time consuming. A magnification of 8.3x is available in D5500, while K-70 zooms till 16x. Highlight alert highlights the areas of the scene which have been clipped. This helps us in adjusting our exposure so we could reduce or avoid it. This has applications in sunny outdoors & landscapes where the sky often turns total white which is mostly undesirable. Histograms are graphs which show the distribution of pixels having various brightness levels. Histograms help us in correctly exposing a picture where using a live view could be difficult, e.g. during very bright daylight, or when the monitor itself gives wrong output having wrongly calibrated. Histograms are often available in a camera when we preview a photo for better assessment of exposure. But they are especially useful when made available live during live view, where its vales change in accordance with any change in exposure. K-70 has a clear advantage in this regards over the D5500, while the former provides live histogram, the latter allows using it only while reviewing the photo. The Nikon mobile app only lets you to view your photos and take photos by selecting a focus point on the live view feed by touch. Basically it's just a remote trigger with a touch and a live feed. Although you cannot use it for video, astrotracer, or any drive mode other than single shot. Set the number of shots to be taken while bracketing e.g. 2, 3, and 5 (only 3 in D5500). You can alter the sequence of the under, correct & over exposed shots. You can set one-push bracketing to shoot all frames in a single shutter release. To achieve this in D5500, you need to set it in continuous drive mode. The K-70's buttons have been raised which makes it easy to push without looking. Pentax also claims that the K-70's buttons and dial work well with gloves, something which you'd be using often when in cold weather. 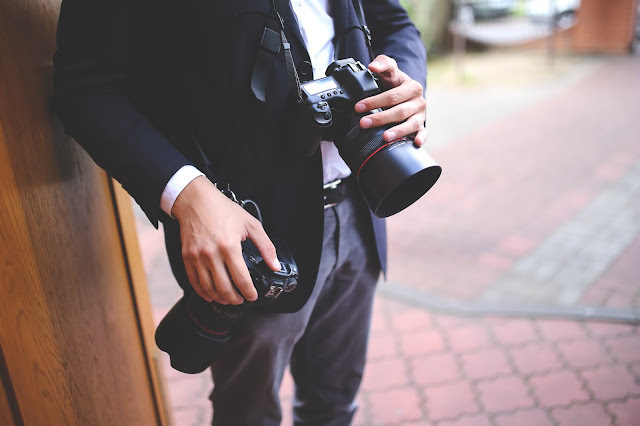 High-Speed sync allows you to use a flash with you camera with shutter speeds higher than your camera's rated flash sync (which generally ranges from 1/160th to 1/250th). This is useful when using flash during daylight where shutter speeds often go beyond the sync speed, where your camera's pop up flash, when used starts giving black bars in the image which is actually the shutter forming a shadow on the sensor. The Nikon D5500 does not support Auto FP Flash High-Speed Sync, not even with external flashes that do. So you are stuck with a maximum flash sync with a shutter as fast as 1/200th of a second. This is unfortunate since Nikon's flash system is one of the best out there. That's not the case with Pentax. You can use Pentax flashes supporting HSS like the AF540FGZ or AF360FGZ to achieve flash sync with shutter speeds greater than 1/180th of a second. This is another feature which camera makers reserve only for mid range/flagship products. With AF micro-adjustment you can offset any focusing calibration errors which cause front or back focusing errors when using OVF. While D5500 doesn't provide any of this functionality, the K-70 provides a range of +/-10 steps, 20 values of which can be saved. The K-70 can using its sensor shift technology, level the sensor with the horizon by upto 1.5 degrees. 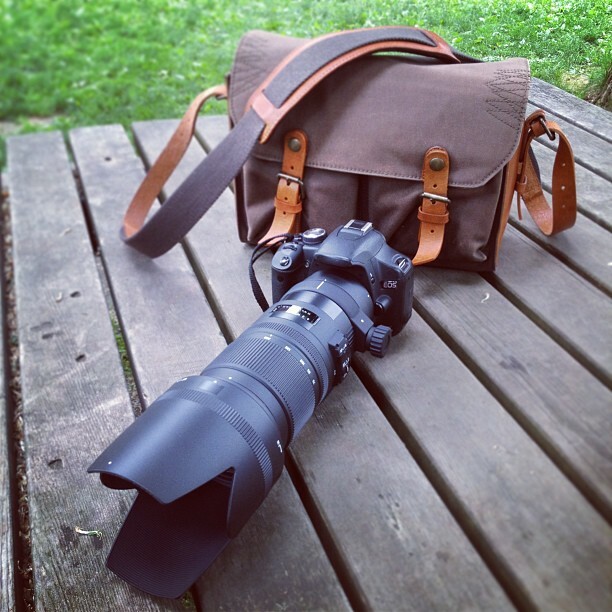 This is great for handheld landscape and wide angle shots. The D5500 doesn't provide this feature. Depth of Field preview lets you perceive the scene through your optical viewfinder while reflecting the actual depth of field corresponding to the set aperture, i.e. It shows the effect of aperture that final image will show. 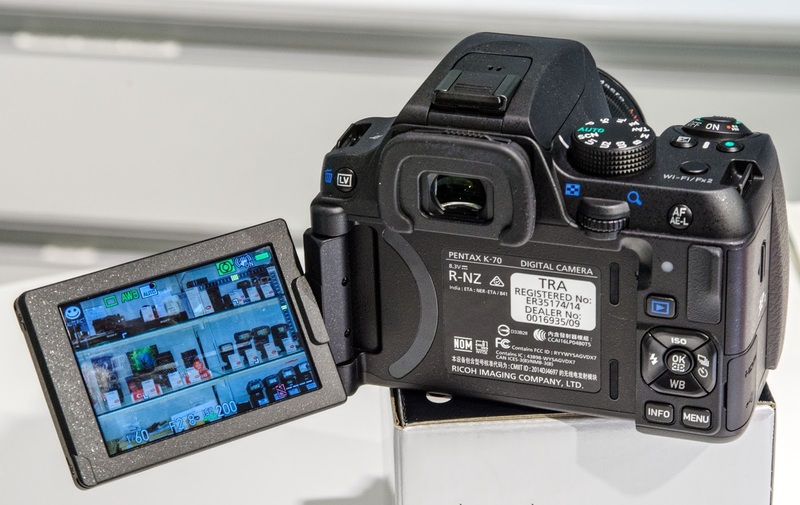 The K-70 has the DoF Preview function called Optical Preview and can be assigned to any of the 2 function buttons. D5500 skips this feature. The Pentax K-70 has a timed bulb mode. With this, you can set the time duration for which the shutter would be open, anywhere from 10 seconds to 20 minutes. With this you don't need to keep the shutter button pressed or press it twice to open and close it. This reduces camera shake. The Pentax K-70 provides in camera movie recording option for interval shooting & star stream shooting. We can create movies having resolution of 4K, full HD or HD. Here is a video showing Star Stream movie mode of the K-70. Here is the interval movie mode. The D5500 has interval timer, but requires external software for movie creation. Multiple exposure is present as a drive mode in the K-70, whereas the D5500 allows you to combine 2 RAW images which have been already shot. 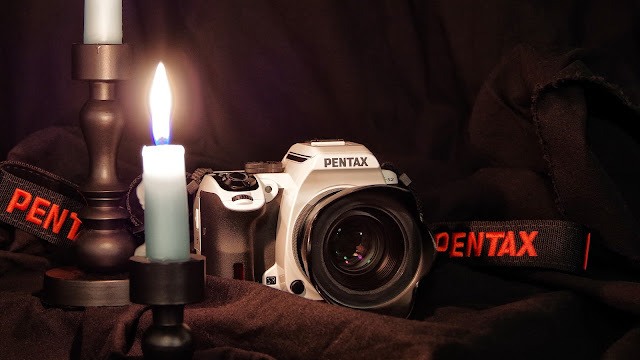 Although both seem to have the same effect, there are some advantages for Pentax. The Opacity of the two images to be combined can be changes in D5500, but their positions can be shifted. This seems a bit too restricted, more so considering that it's done after the whole image shooting process is complete. Plus you can only work with two RAW files at a time. In K-70, combining of images is done real-time using multiple exposures. You can use normal, continuous, self timer of remote control for shutter release. You can choose from 2 to 2000 shots and also alter the speed. The D5500 isn't weather resistant and can work in as cold as 0 degrees centigrade, whereas the weather resistant K-70 can go up to -10 degrees, so Pentax again has the edge while working in extreme environments. ISO, EV compensation, Flash mode & compensation, Drive mode, White balance, Custom Image, Clarity, Skin Tone, Digital Filter, HDR, Pixel Shift, Shooting & Playback info display, Outdoor view & Night vision settings. The K-70 and D5500 both have sensors with no optical low pass filter which is used to reduce moiré. To handle moiré, the K-70 uses its sensor shift system to create micro vibrations to artificially induce blur, effectively simulating an AA filter. You can change its intensity & also use it in bracketed form. This feature is not present in the D5500 since its sensor is fixed. This is not an advantage of Pentax, but rather a usability glitch from Nikon which it doesn't rectify. When you set the release mode to self timer in D5500, after taking the shot it won't maintain the self timer mode, but return to normal shutter release mode. This not very good if you happen to use tripod for long exposure shots or want to take multiple group shots. You will need to explicitly set the release mode to self timer every time you are taking a new photo. 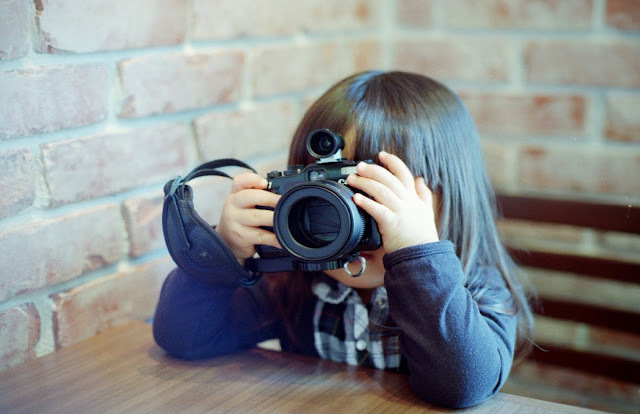 This is not the case with Pentax. Thanks for reading. If you like these articles, then please share them using the links provided, it helps me a lot. As always, your comments, queries or any suggestions regarding write-up and/or content are most welcome.